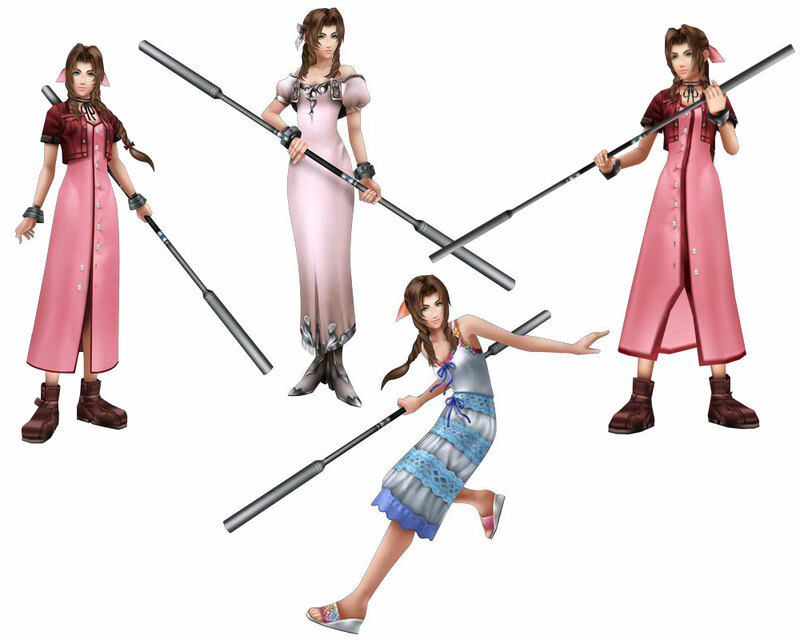 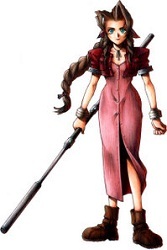 Aerith Gainsborough, the Flower Girl from Final Fantasy VII which gets killed by Sephiroth during the game gained a ton of fans and recurred in the FFVII spinoff games, the Advent Children movie, a few other Final fantasy games and was made a character in the Kingdom Hearts series later as well. 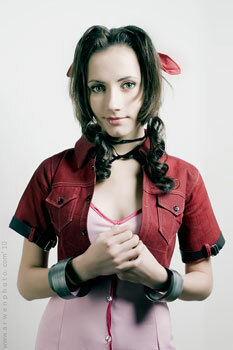 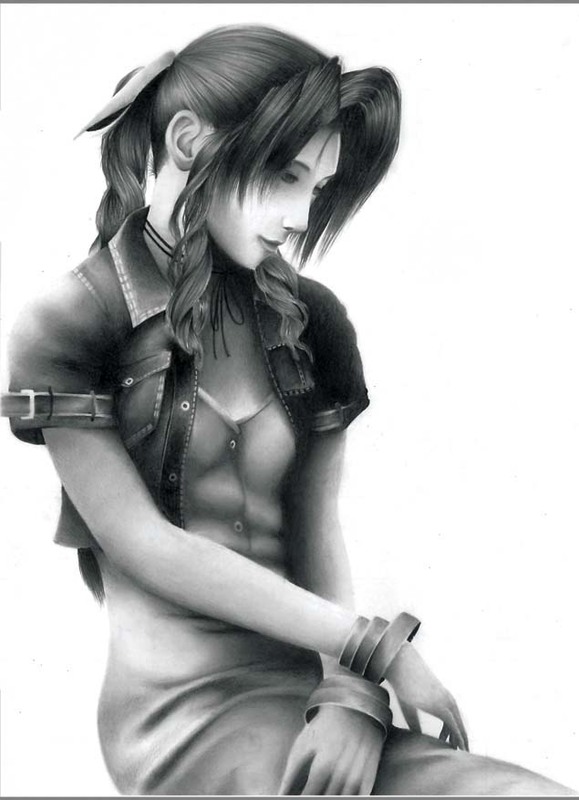 She is shown as an innocent, a bit shy girl who is a big contrast to Tifa, the other popular FFVII girl. 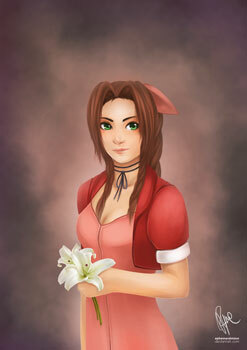 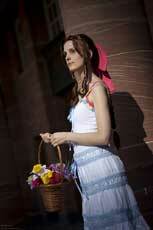 Aerith is till today often drawn and cosplayed, she is a truly timeless game character design and loved by many players. 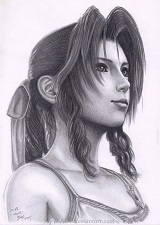 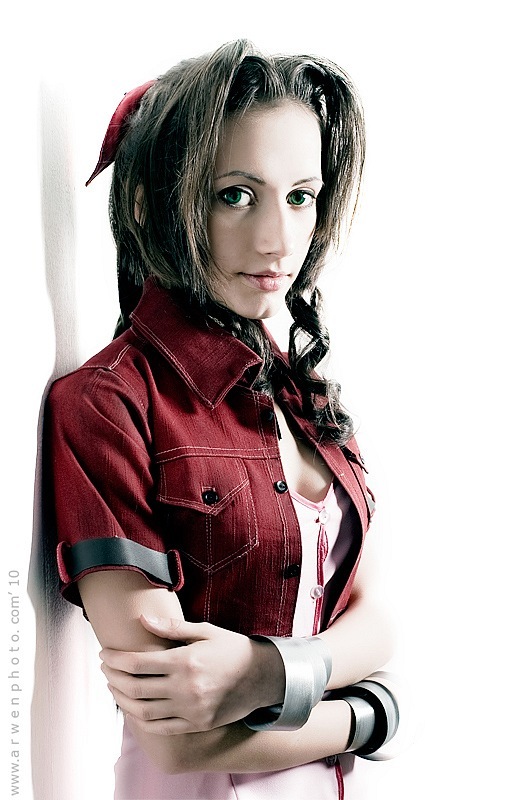 In this gallery here you can find official illustrations and concept art of Aerith made and shared by the Square Enix Artists and also selected drawn art and cosplays by the many fans worldwide.